Messier Object 13 is a globular cluster in the constellation Hercules, and is located approximately 22,000 light years from Earth. 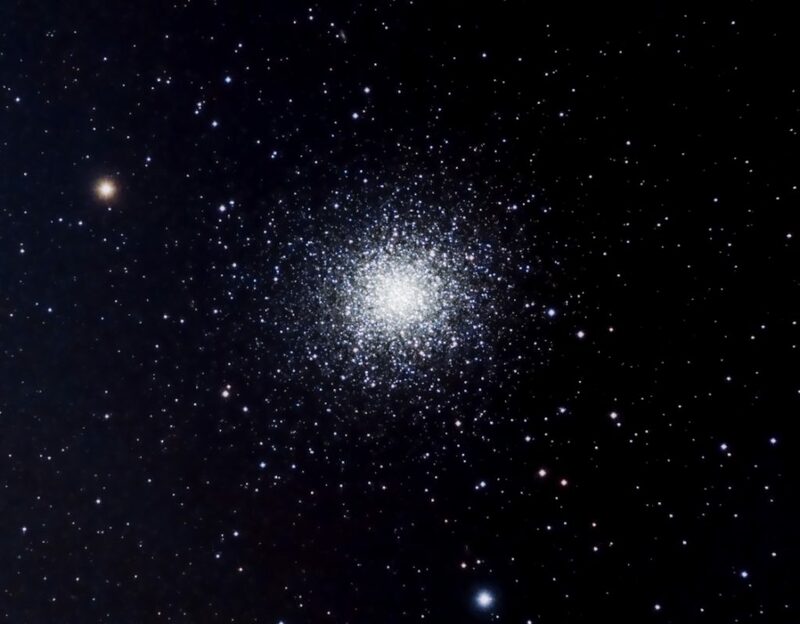 The cluster is often referred to as “The Great Globular Cluster in Hercules” and is one of few globulars that is visible with the naked eye from a dark location. 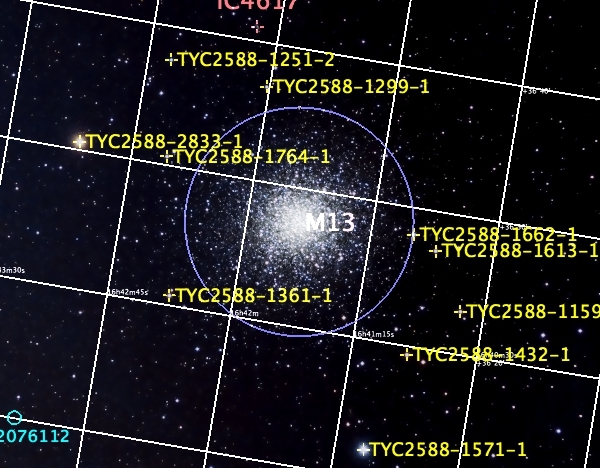 The cluster contains approximately 300,000 stars. Interestingly, this cluster was the target of the Arecibo message of 1974 – which will reach the cluster in thousands of years.